This development is by far the best hope ever for hair loss sufferers. Let’s help the Sanford-Burnham Medical Research Institute get this project off the ground with clinical trials. Sanford-Burnham is an established, highly prestigious medical research center which has always operated as a non-profit organization. Having lived in San Diego I can tell you that this institution is not a fly-by-night group. It is a very well-respected part of the community. Therefore, you can make a donation to help them, large or small. You can even specifically indicate that you want your contribution to go to this hair loss research project (they have many research projects but this one is the most important to us). Don’t put more money into the bank accounts of hair transplant surgeons. They already have enough money. Invest in your future and please consider donating to Sanford-Burnham today. More and more drug and biotech companies are conducting clinical trials overseas in lower-regulation countries, to accelerate the process of getting products to the global market. In case you haven’t noticed, Replicel is doing this, and Sanford-Burnham’s procedure appears to be much more promising than Replicel’s. Replicel will be doing phase 2 and will be able to enter market after that in asia and histogen will be doing their final phase 3 in Japan. As roger said- both treatments are taking the fastest route to market. Both treatments could compliment each other. And another worst case scenerio is the addition of fue from donor and even body hair such as from beard to use if the cell based treatments weren’t totally affective. There is going to be more hair to work with. The sanford-Burnham institutes research is another thing to think of. It’s always good to have more players rather than put all our follicles in one basket. Imagine if we did that with intercytex and aderans. So we were lucky that another company such as replicel formerly known as trichnoscience Was doing research to give us what we may have soon and along with histogen. Get ready to fly to Asia. I still don’t get how Replicel is much different from Intercytex and Aderans. I remember back in 2006 when similar hoopla started about Intercytex’s treatment being “just around the corner”. There were some posters here who were 100% convinced that Intercytex and year 2008 was the end of baldness. While Intercytex did really well in phase-I, its phase-II was horrific. I’m 99% convinced that nothing major would come out of Replicel…maybe a slight thickening at best. The reason being that they NO One is looking at the anatomy of AGA hair follicle and doing some detective back-tracking work to see what goes wrong and how to properly fix it. They are just trying to create new hair follicles based off of mice studies, IMO that won’t work! Recently there have been a couple of studies about Arrector-pili muscle and how in ‘reversible’ Alopecia Areata it is present and attached to the base of the follicle BUT in “irreversible” AGA it breaks off from the base of the hair follicle. This could be the key reason why once a hair miniaturizes, it’s virtually impossible to make it terminal again through castration even. This could very well be the reason Replicel won’t work. My only hope is George Cotsarelis, he is the only person who is studying the follicle and trying to come up with off-the-shelf treatment. If this guy is successfull, his treatment could fly through FDA trials. Are you in contact with George, his PGD2 approach seemed so rational and straight forward, why havent we heard anything since 2012? I don’t have confidence in George… He should have been the one to make the discovery not Sanford-Burnham… Now concerning Sanford-Burnham needing funding. I am not sure how this works, but I thinking one of these guys is bald. If they are so confident in this procedure, why not try it on one of the researchers and if works, funding will be the least of their worries!! My problem with Replicel, Sanford-Burnham, and all of these other cell based therapies is that they’re not dealing with the problems in the scalp environment. Dr. Gardner, who worked on the Jahoda team (Yes that Jahoda) have already stated that the scalp environment has to be treated along with adding cloned follicles. And we know what Jahoda means when he says the scalp environment has to be treated - he means that the lost fat tissue has to be replaced. And Yale University has come along and demonstrated that the fat tissue contains cells that emit growth factors and proteins that make hair grow, and that in aga the fat layer is reduced. So you can put all the Sanford-Burnham follicles or Replicel follicles you want into the thinning area of the scalp but those follicles still won’t grow cosmetically acceptable hairs unless you also increase the underlying fat tissue. And if you can increase the underlying fat layer then you might not need replicel follicles or Sanford-Burnham follicles because you already have follicles…they’re just miniaturized is all that’s wrong with your already existing follicles. And as soon as you put the new fat into the right location in the scalp that new fat tissue should start sending the necessary growth factors to your already existing miniaturized follicles to grow cosmetically acceptable hairs and your hair loss problem might be cured. It looks to me like the cure for hair loss is to graft permanent fat to your scalp in the right location/depth of the skin. Some fat is not permanent. For example, if they were to put fat from your stomach into your scalp then you would probably need the deeper fat because the shallow fat would be lost if you ever lost weight. You need to put permanent fat into your scalp at the right depth and location so that it will stay there and send growth factors to the follicles. WESTLAKE VILLAGE, Calif., Feb. 10, 2015 (GLOBE NEWSWIRE) -- KYTHERA Biopharmaceuticals, Inc.
great find Mr. Z!! This would, imho would be the best treatment, if it proves to be effective. Better than any lab grown cells and biopsies. Hope this works! Great find Z, and I’m very happy to know that Dr. Cotsarelis has found a partner to pursue trials and commercialize this drug. It’s also a very good thing that this drug has already undergone clinical trials for safety, and its safety is well-established. That should cut dramatically the amount of time it takes them to get this to market. Who knows how effective it’ll be though, because by now a lot of people have self-experimented with various types of PGD2 inhibitors and blocking agents, and apparently no one’s grown an appreciable amount of hair. Hopefully this could be a one or two trial and done process. I have my doubts about that, but, it would seem it’s a possibility. I’m guessing they’ll need a small proof of concept and then a larger trial for efficacy and that should be it. And it would seem that this is the first time since finasteride that we truly are within the 5 year time frame for a new treatment. Exciting! I have some concerns about the efficacy of this compound as well. Going from hyothesis straight to humans is a big step. And they did not get their targeted efficacy when they tested the compound in trials for allergies. So, i’m not sure why they think it would work for MPB. It’s possible that the mechanism for allergies is poorly understood and PGD2 doesn’t play as large a role as anticipated, i suppose. But, on the flip side of that, i would think they must have seen something, some kind of hair growth, or indication that would lead them to take such a big step and want to invest in licensing and funding a large. Hopefully they get started on this trial soon. Are you in agreement with Dr. Ustuner? These processes become a “vicious cycle” in which DHT tries to grow hair, but causes the fatty tissue to dissolve, subsequently leading to more gravitational pressure, Dr. Ustuner said. For this reason, many people lose hair on the top of their heads first, and then at the front of the head, where weight from facial tissue pulls down further, he said. Hair remains on the side of the head because the ears are there to provide support. Hormones and other aspects of aging have long been suspected to cause balding, but could gravity also play a role? ESP, Dr. Ustuner’s theory has nothing to do with the information Jarjar is talking about. Jarjar is talking about chemicals secreted by cells in adipose tissue (e.g. 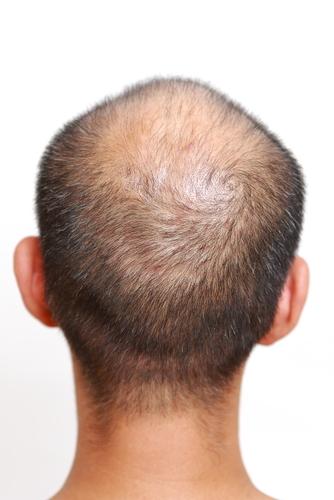 from Yale study and Dr. Jahoda’s research) and Ustuner’s theory has NOTHING TO DO with any chemicals from the fat layer, in fact he denies almost any biochemical reason for hair loss – he says it’s all from physical forces, gravity, and fat cushioning that he says protects the follicles in people who don’t lose their hair. The Yale study says something completely different, in fact the two theories are mutually contradictory. Cotsarelis is spending other people’s money and doesn’t have much to lose. If the drug works then he’s king of the world. If it fails then it costs him very little. Drugs fail to work all the time and I doubt it will be held against him in any real way. Its not the first time he has engaged in clinical trials with one of this ideas that failed to pan out. There’s a huge difference between something that doesn’t work well enough, versus doesn’t work at all. AFAIK the PGD2 amateur experiments produced nothing at all. And the entire concept of treating MPB with the PGD2 angle is a simple enough that I would expect people to have stumbled upon it by now. It may be the best contender that Cots has had in a few years but that doesn’t necessarily make it a good one. KYTHERA has been supporting research in Dr. Cotsarelis’ lab at the University of Pennsylvania over the last two years under sponsored research and option agreements to further develop and elucidate the initial reported observations. I’m Not in contact with Cotsarelis But I do have experience with funding and research. Cotsarelis is in an Academic setting and as such has enough attention already to Not make public statements constantly and just focus on his work. The statement above is a proof of that. Apparently they have been researching it for past two years. I’m sure they see some light at the end of the tunnel to test it out on people. And like I said earlier, they chose a drug that is already well established in terms of efficacy. Maybe this drug will only work for stopping MPB in its tracks and Not reversing it (my money is on this scenario), still it’s progress! The reason replicel etc, basically any company looking for further funding or with stocks on the market, “seem” to be doing well is because they want to create a positive outlook for the company - which results in higher stock prices. That’s the reason why Replicel’s CEO is always Extremely Positive about all the developments without making any concrete statements - that would get him in trouble with the feds. CEOs get paid to boost the company’s image and that’s what he is doing, simple marketing. I would advise you guys to be cautious, we have a history of people making a discovery in lab and then running with it to get funding and start a company. That mostly never pans out they way people wanted. MPB is a very complex problem and as such the cure would be based off of the findings by people like George Cotsarelis (and others in academia) who are exploring various pathways and trying to understand hair follicle biology. Interesting that when the trial with setipiprant for allergy proved unsuccessful, the company decided to do another trial with a more potent PGD2 inhibitor. Why can’t they just test the more potent compound for hairloss? It’s unlikely that a PGD2 inhibitor, even a strong one, would have any serious side-effects. Interesting comments on patent protection for the “method of use”. I wonder if that has any relation to Follica’s wounding protocol. It would give a plausible explanation for why Follica went silent and then laid off all their staff right around the 2012-2013 timeframe. That’s about the same time that Kythera signed agreements with Cots and Upenn. That would be very exciting, if it’s the case. but gravity combined with DHT creates a vicious cycle that destroys it. your exchange with Dr. U on this board left me more convinced that he was right.